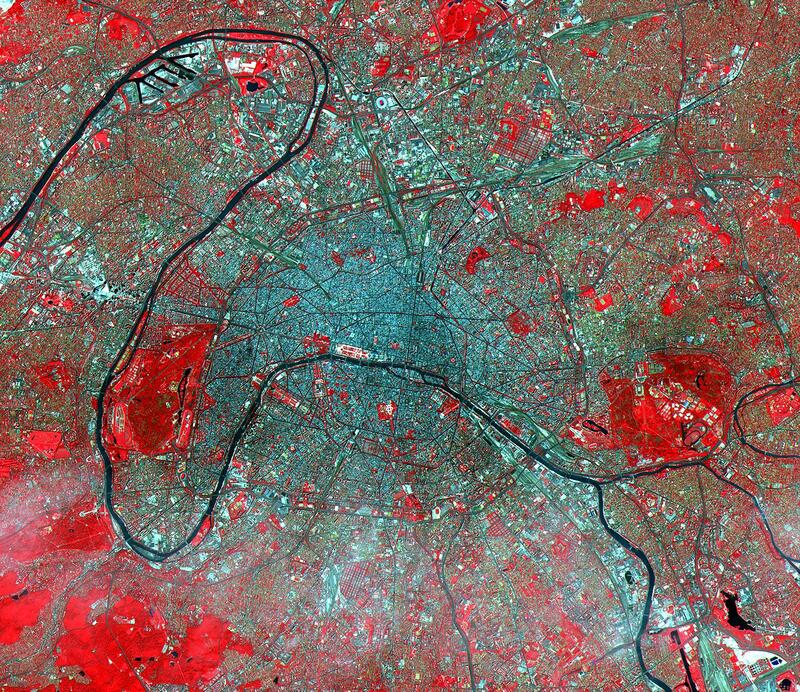 The Eiffel Tower and its shadow can be seen next to the Seine in the left middle of this ASTER image of Paris. Based on the length of the shadow and the solar elevation angle of 59 degrees, we can calculate its height as 324 meters (1,054 feet), compared to its actual height of 303 meters (985 feet). Acquired on July 23, 2000, this image covers an area 23 kilometers (15 miles) wide and 20 kilometers (13 miles) long in three bands of the reflected visible and infrared wavelength region. 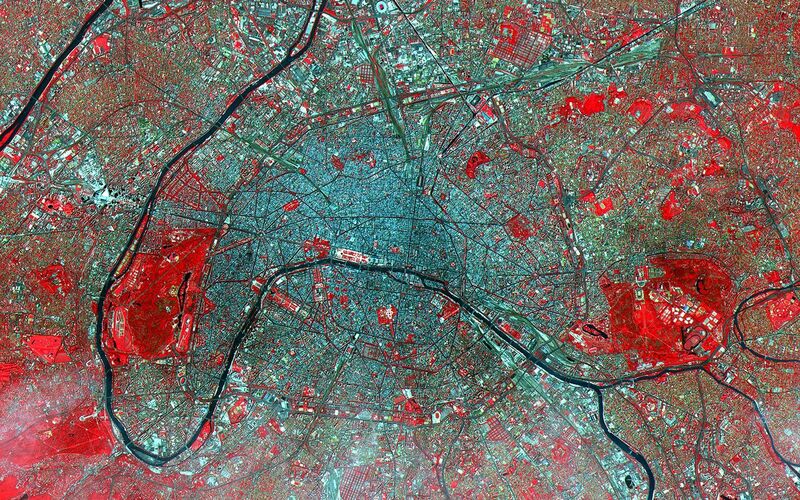 Known as the City of Light, Paris has been extolled for centuries as one of the great cities of the world. Its location on the Seine River, at a strategic crossroads of land and river routes, has been the key to its expansion since the Parisii tribe first settled here in the 3rd century B.C. Advanced Spaceborne Thermal Emission and Reflection Radiometer (ASTER) is one of five Earth-observing instruments launched December 18, 1999, on NASA's Terra satellite. The instrument was built by Japan's Ministry of International Trade and Industry. A joint U.S./Japan science team is responsible for validation and calibration of the instrument and the data products. Dr. Anne Kahle at NASA's Jet Propulsion Laboratory, Pasadena, California, is the U.S. science team leader; Moshe Pniel of JPL is the project manager. 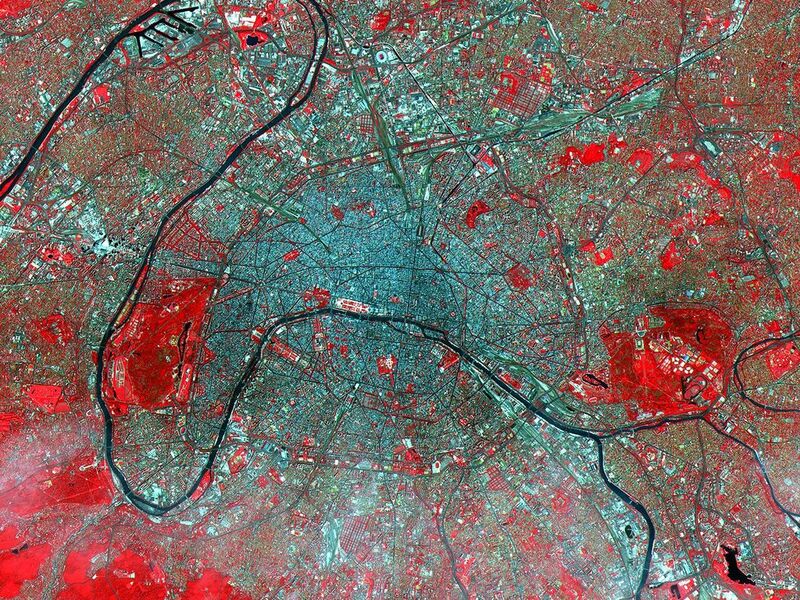 ASTER is the only high-resolution imaging sensor on Terra. The primary goal of the ASTER mission is to obtain high-resolution image data in 14 channels over the entire land surface, as well as black and white stereo images. With revisit time of between 4 and 16 days, ASTER will provide the capability for repeat coverage of changing areas on Earth's surface. Advanced Spaceborne Thermal Emission and Reflection Radiometer (ASTER) is one of five Earth-observing instruments launched December 18, 1999, on NASA's Terra satellite. The instrument was built by Japan's Ministry of International Trade and Industry. A joint U.S./Japan science team is responsible for validation and calibration of the instrument and the data products. Dr. Anne Kahle at NASA's Jet Propulsion Laboratory, Pasadena, California, is the U.S. science team leader; Moshe Pniel of JPL is the project manager. 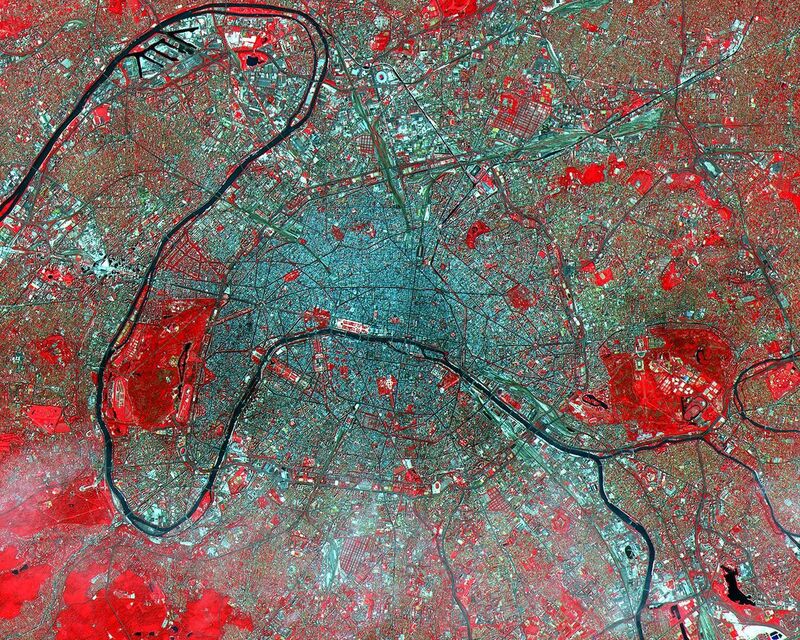 ASTER is the only high-resolution imaging sensor on Terra. The primary goal of the ASTER mission is to obtain high-resolution image data in 14 channels over the entire land surface, as well as black and white stereo images. With revisit time of between 4 and 16 days, ASTER will provide the capability for repeat coverage of changing areas on Earth's surface.